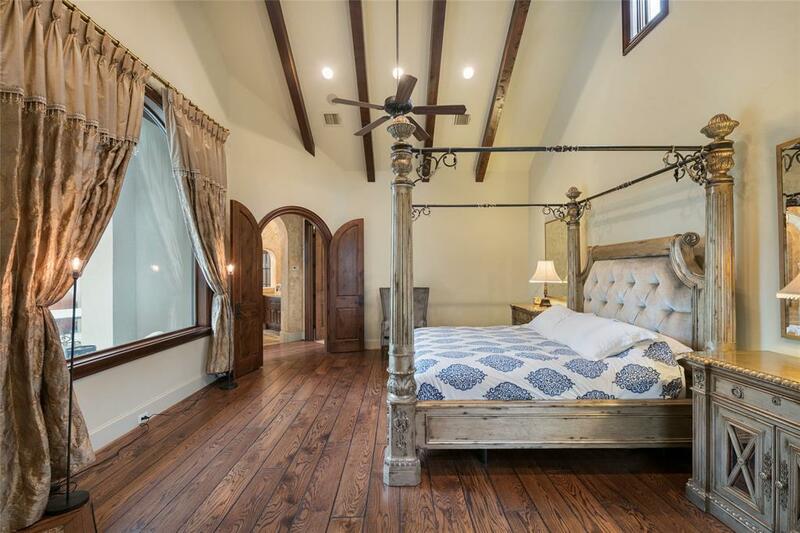 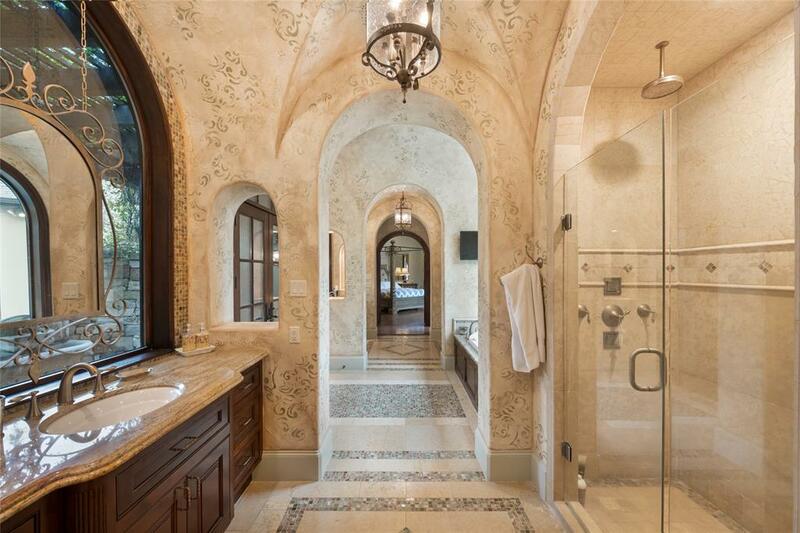 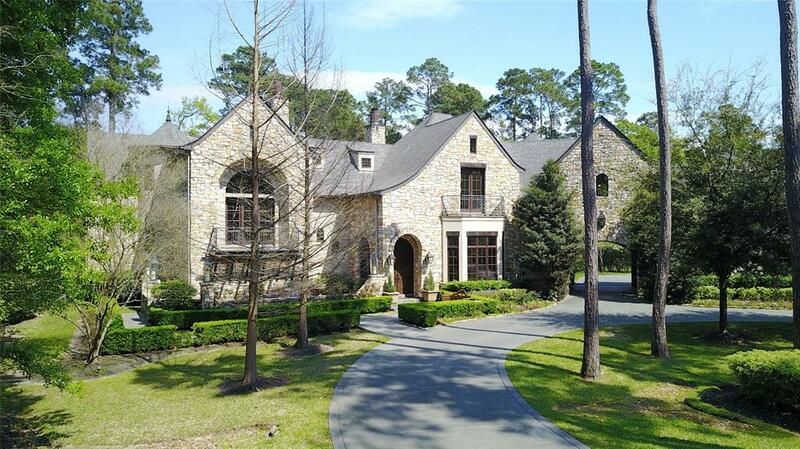 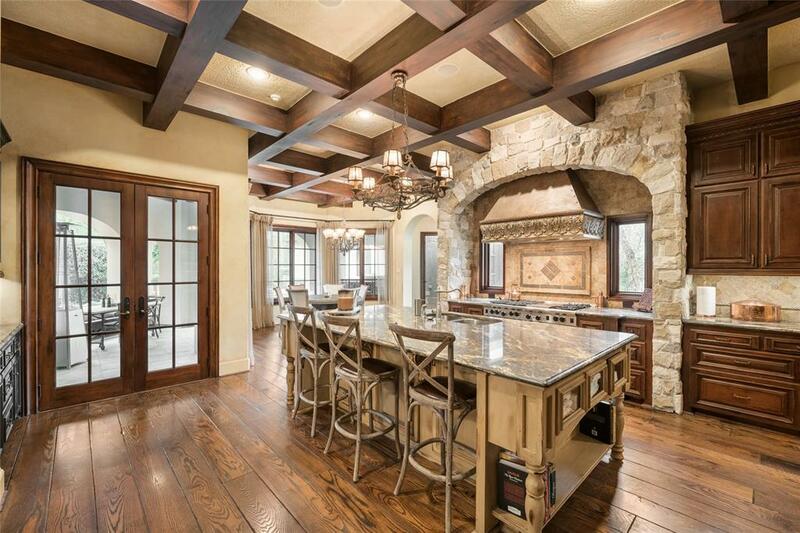 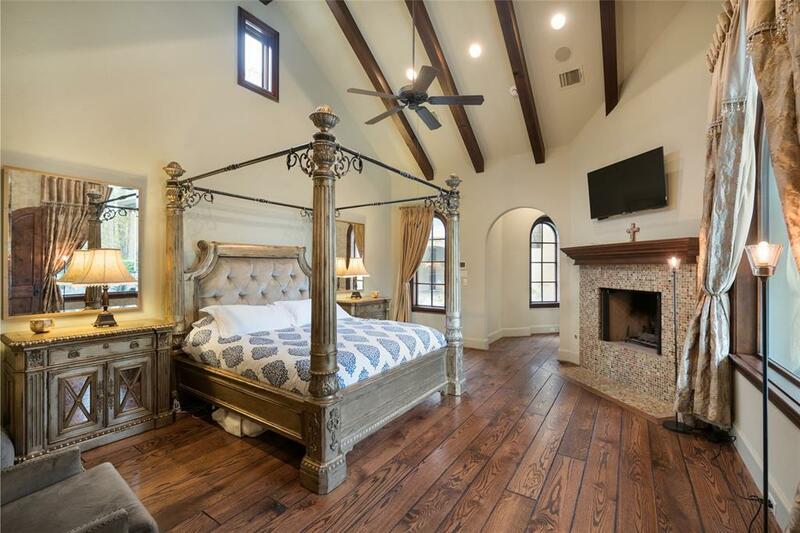 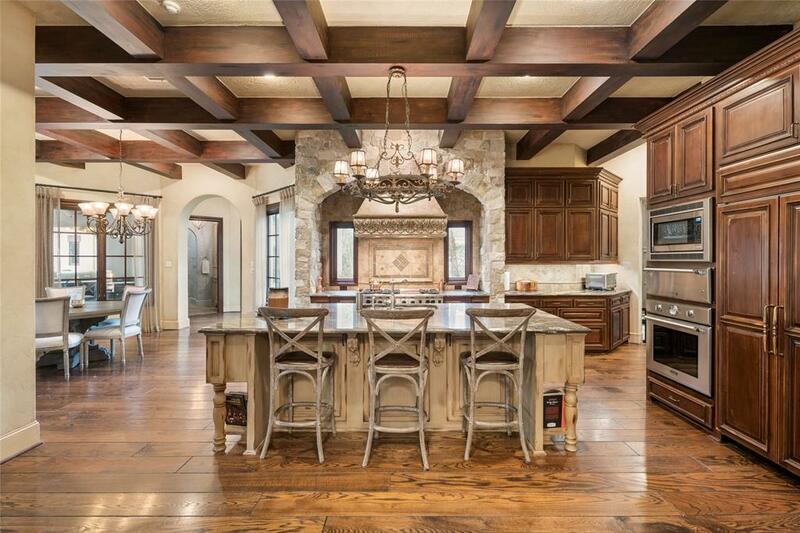 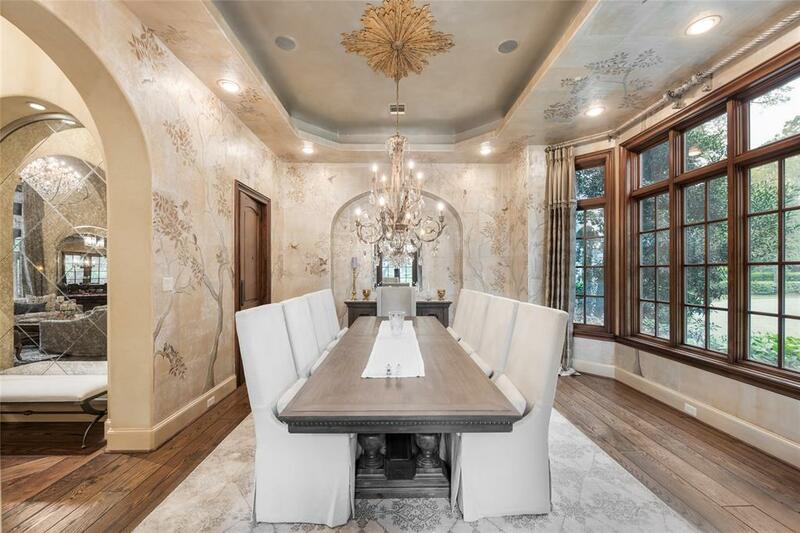 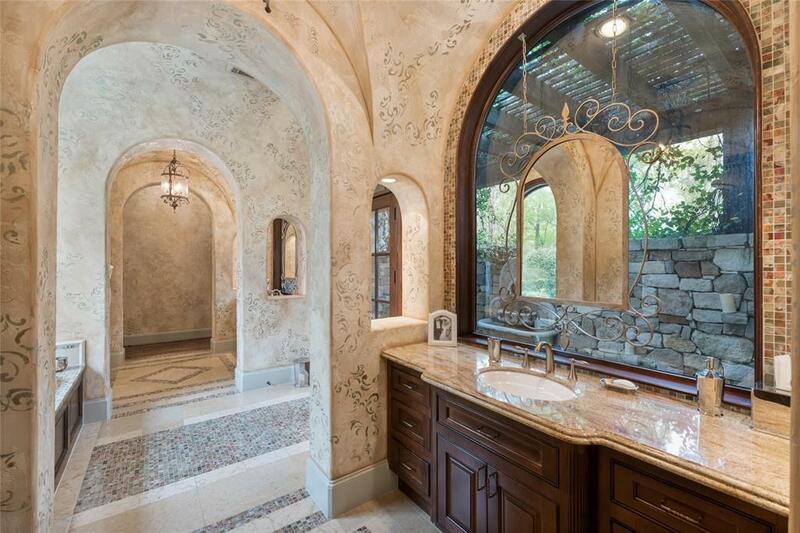 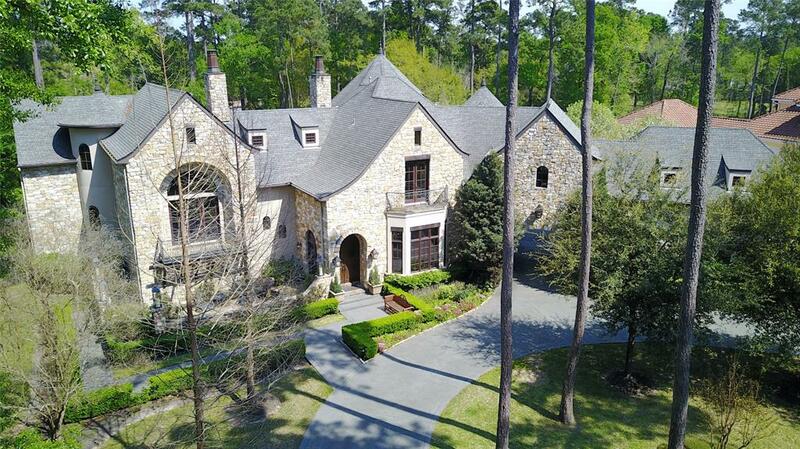 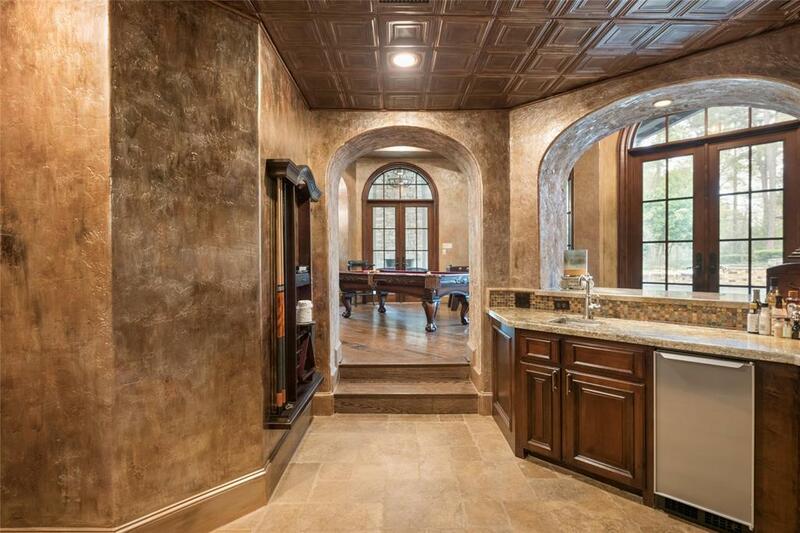 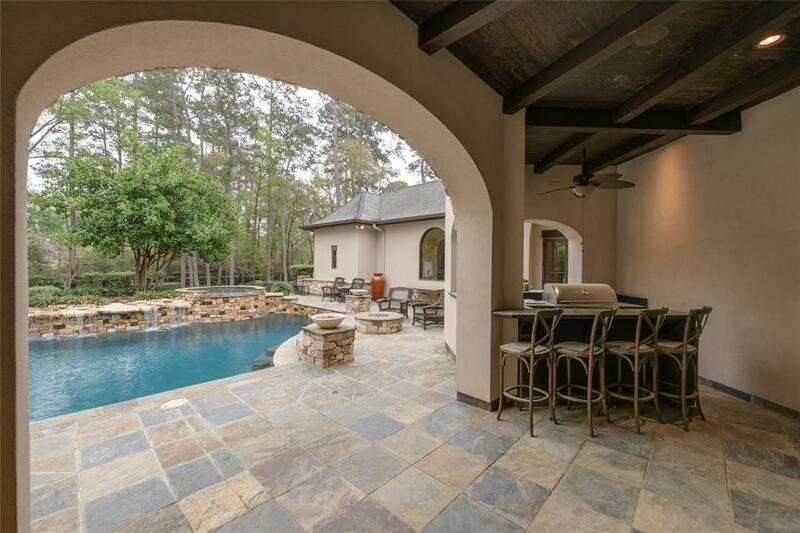 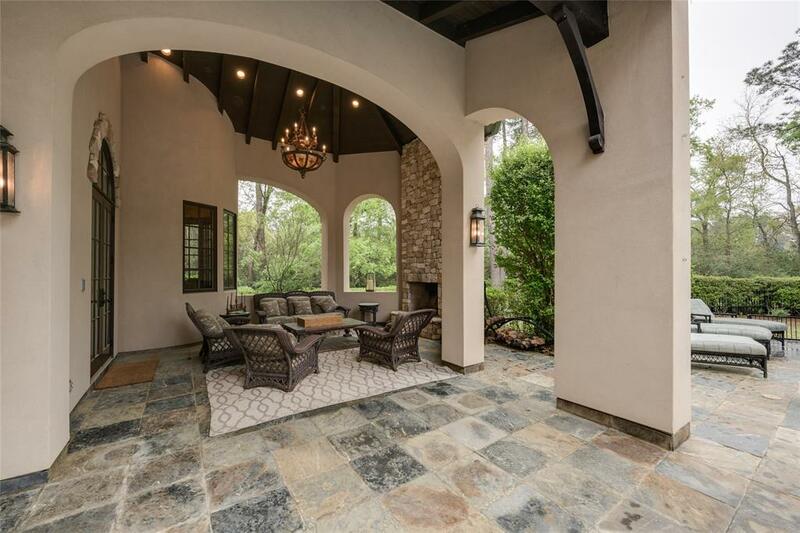 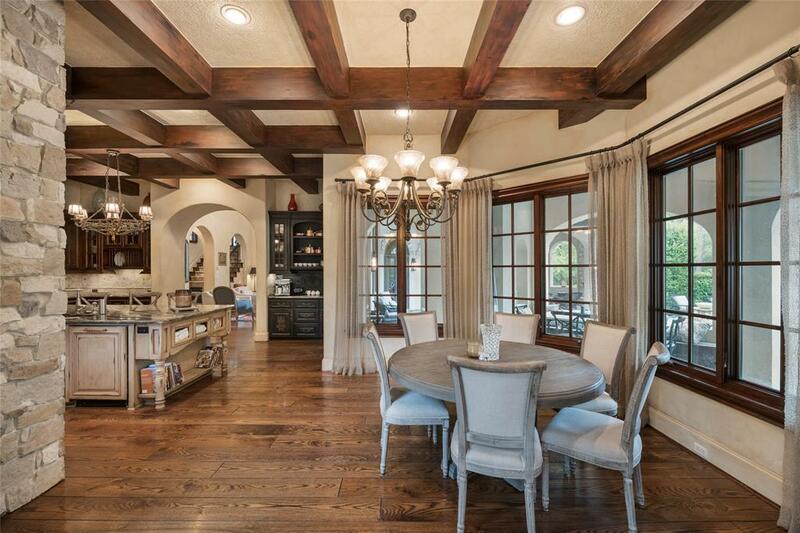 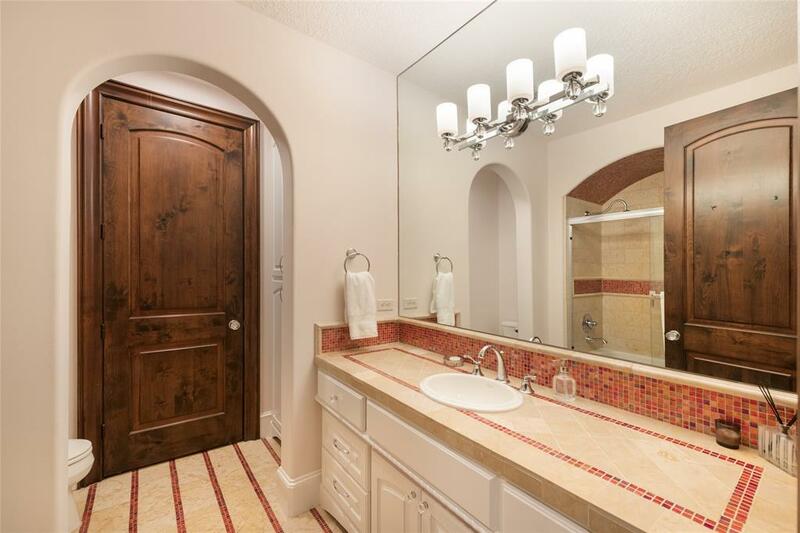 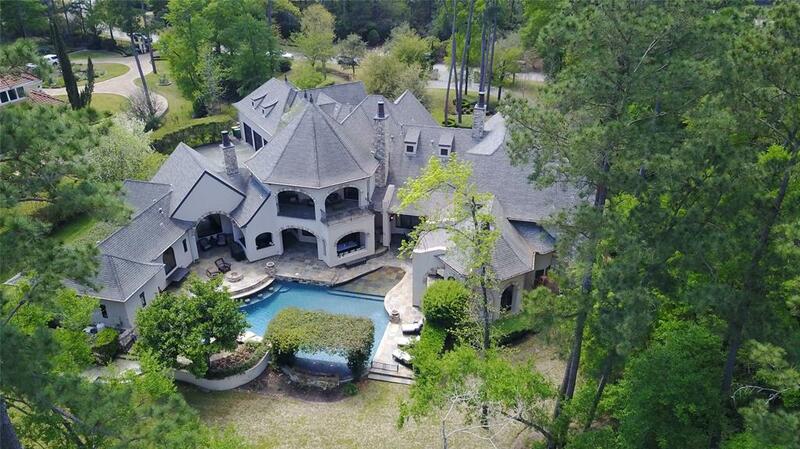 Exquisite custom estate on a 1-acre plus lot within a gated community in The Woodlands. 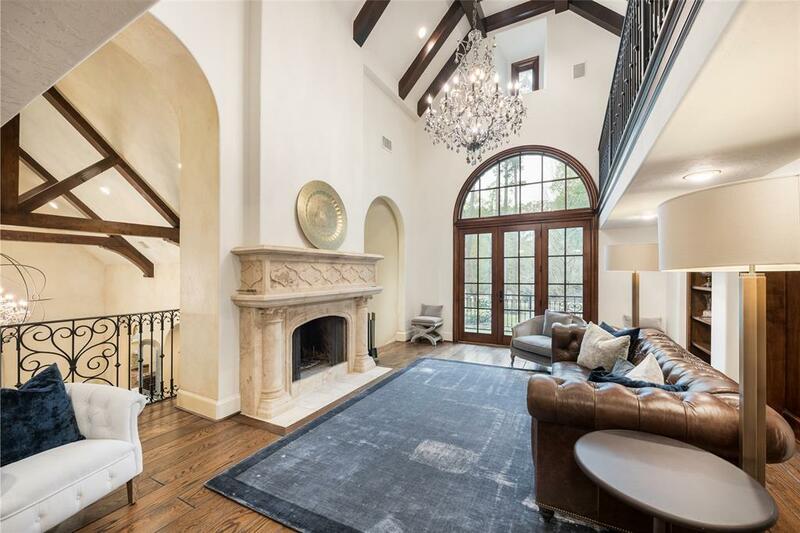 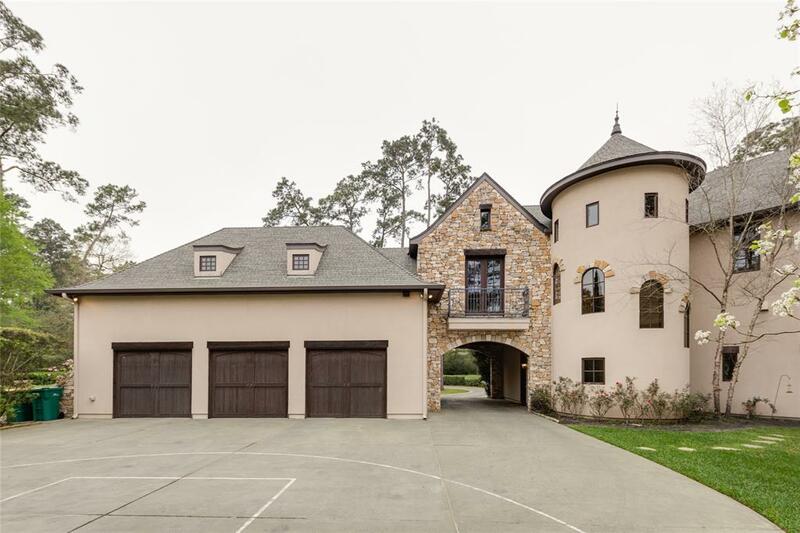 This private French inspired home showcases a circular wooded drive, tranquil courtyard with a fountain, a regal balcony, and lush greenery. 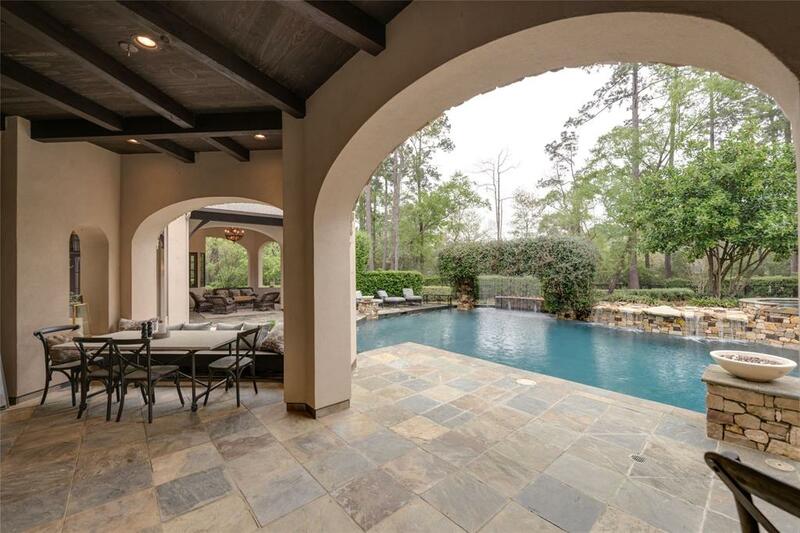 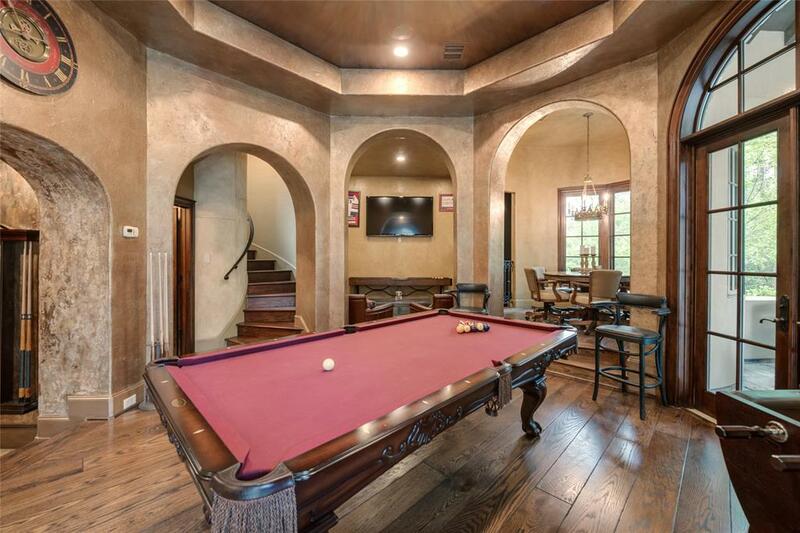 Upon entering the home you are introduced to a stunning view of the pool waterfall and soaring ceilings that open up to a multitude of entertainment areas. 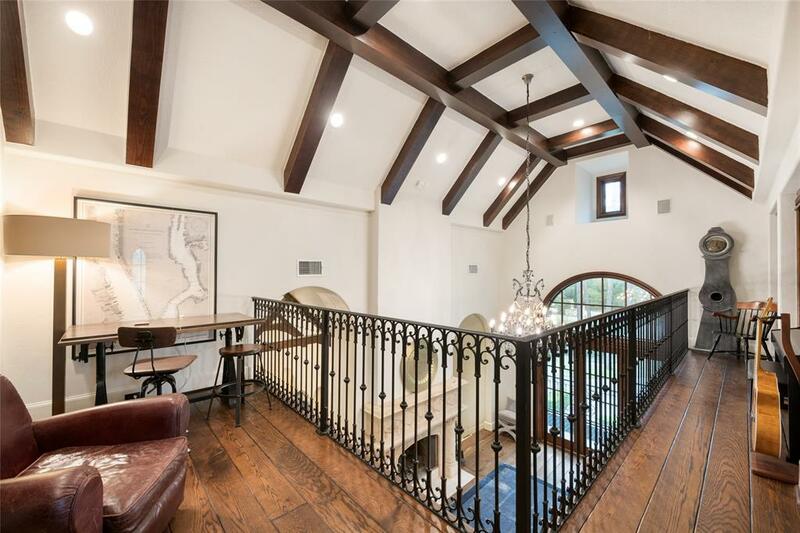 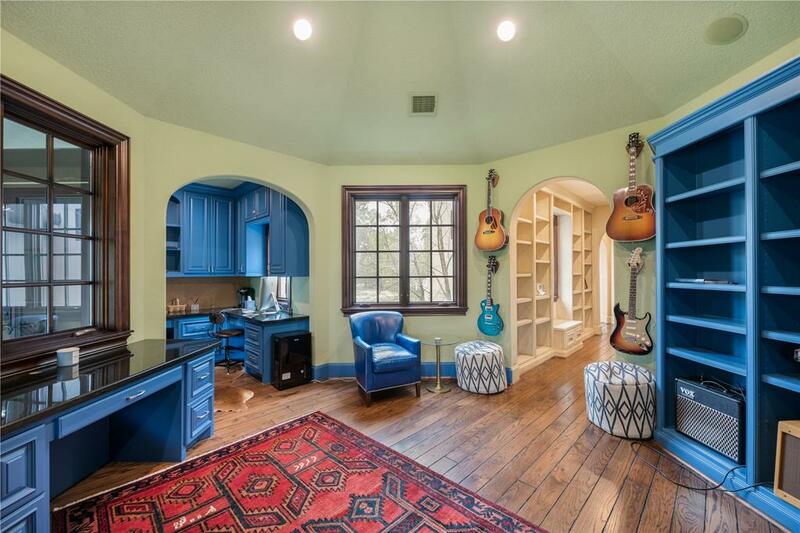 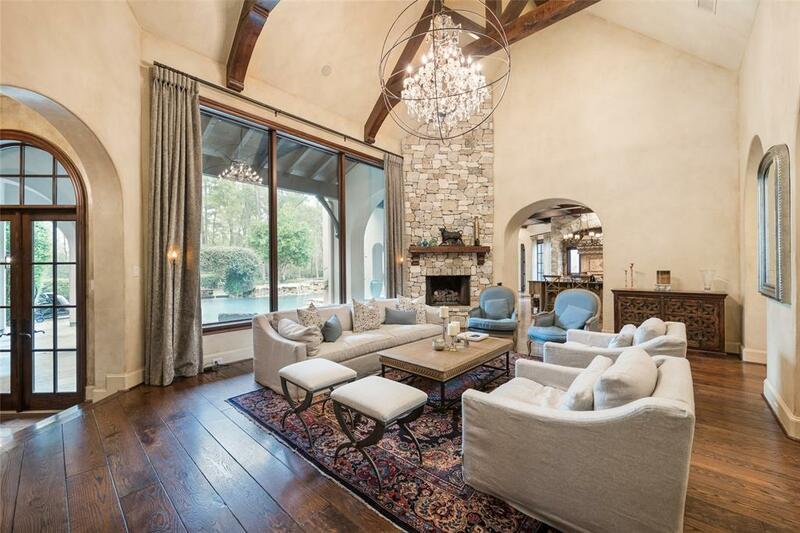 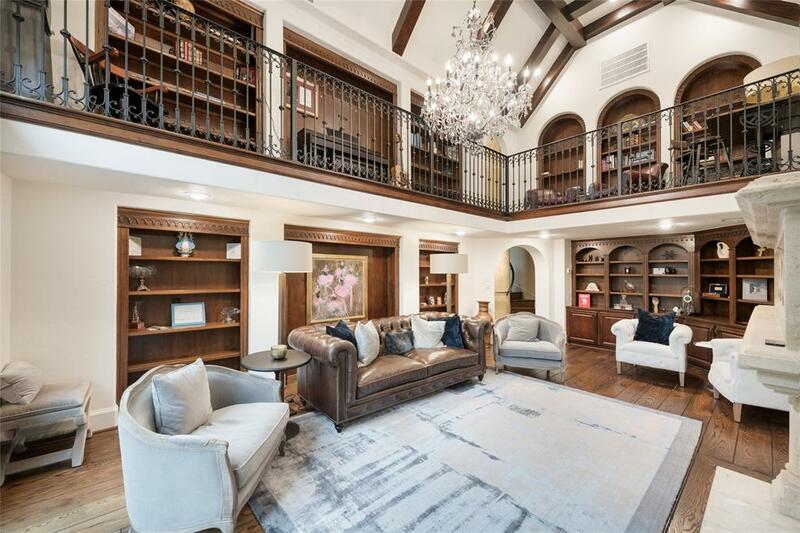 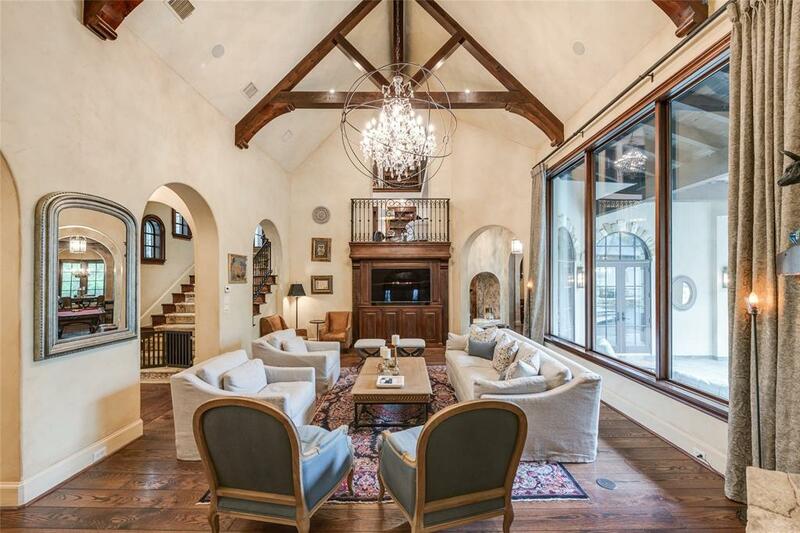 A 2-level great room attributes an inviting fireplace making this a majestic study/library. 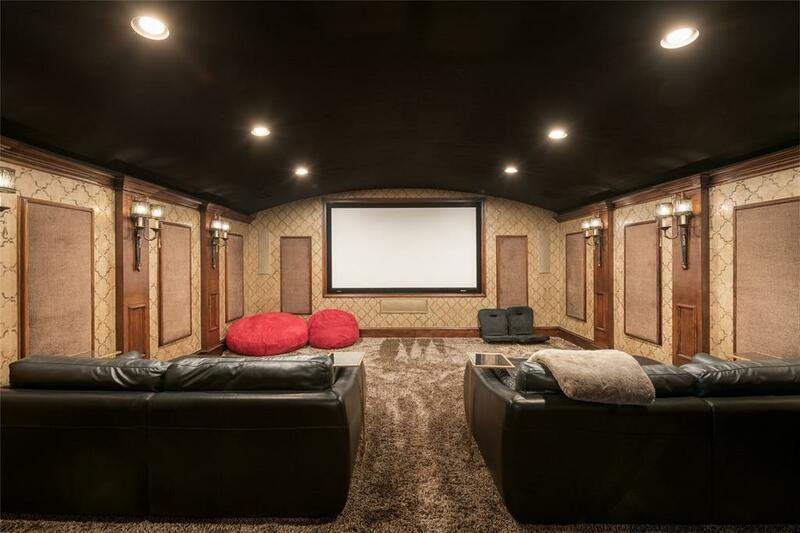 The theatre room offers cutting edge technology with a comfortable feel. 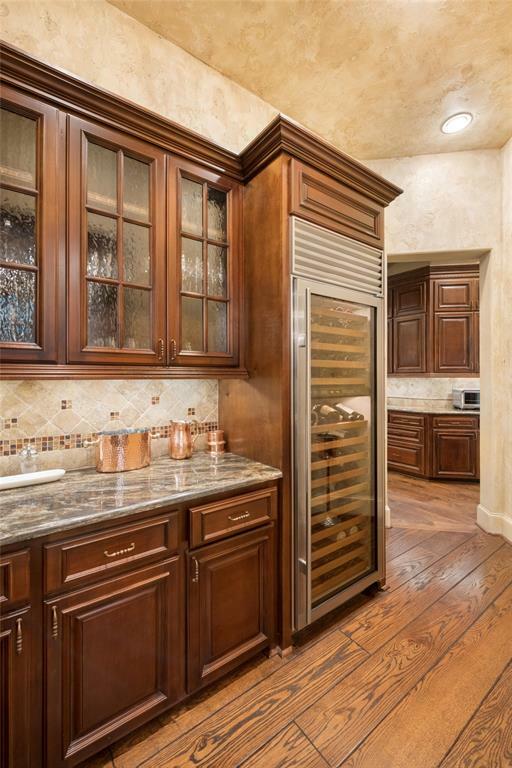 The kitchen opens up to the family room and comes equipped with a granite island for prep space, ample cabinetry, Wolf and Thermador appliances, spacious butler’s pantry, plus a wine fridge. 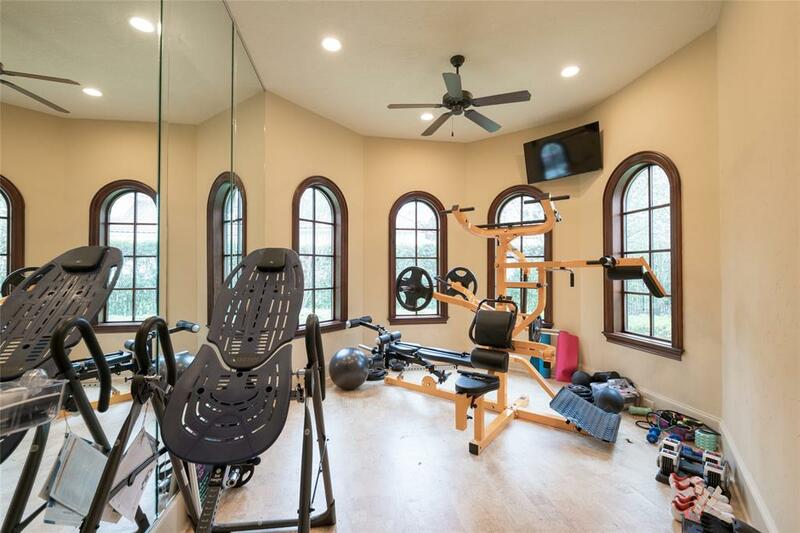 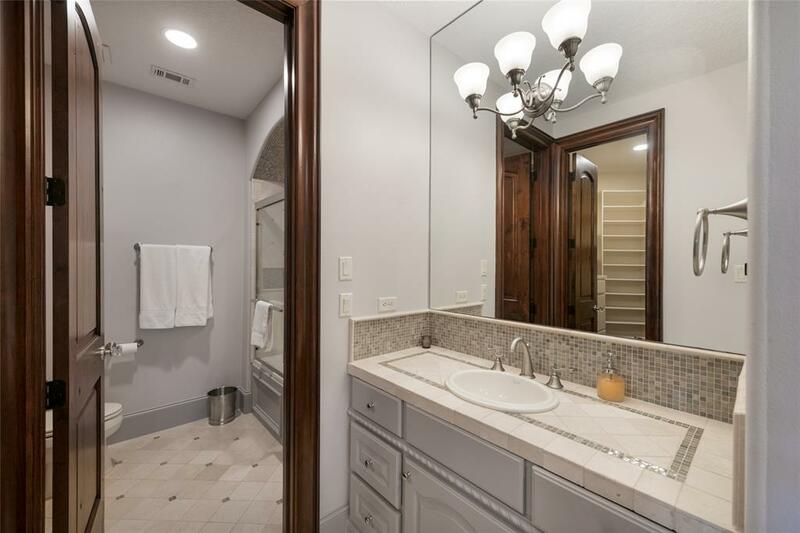 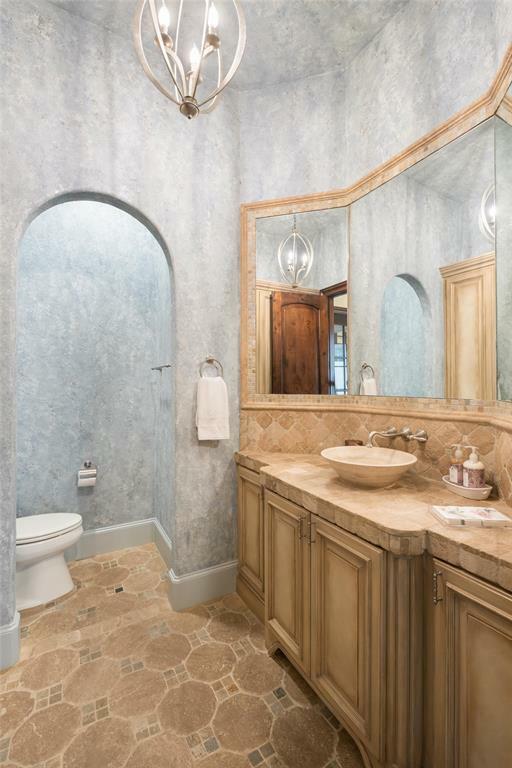 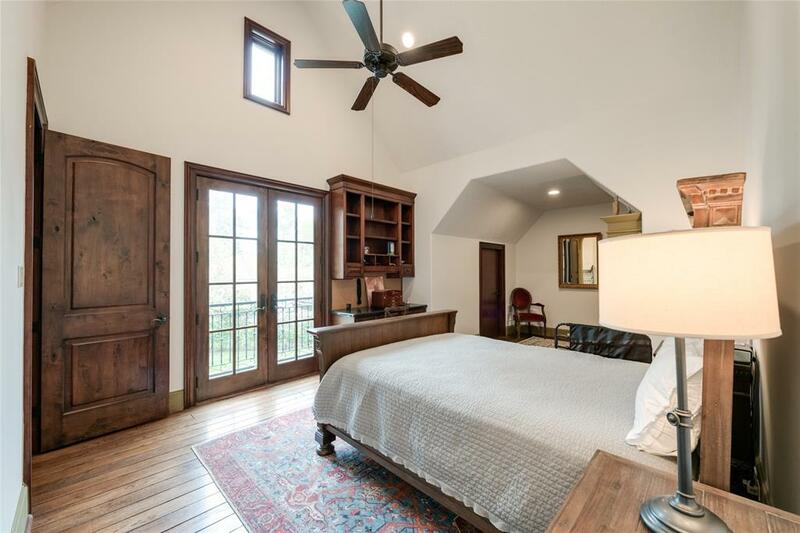 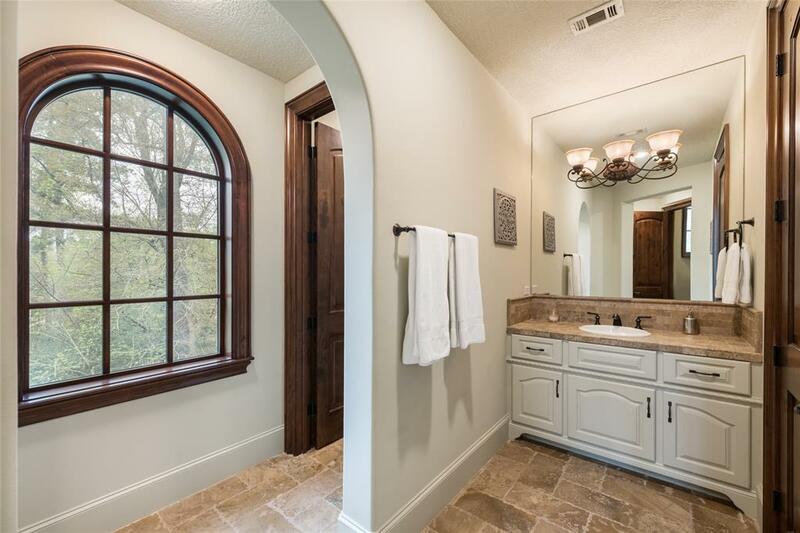 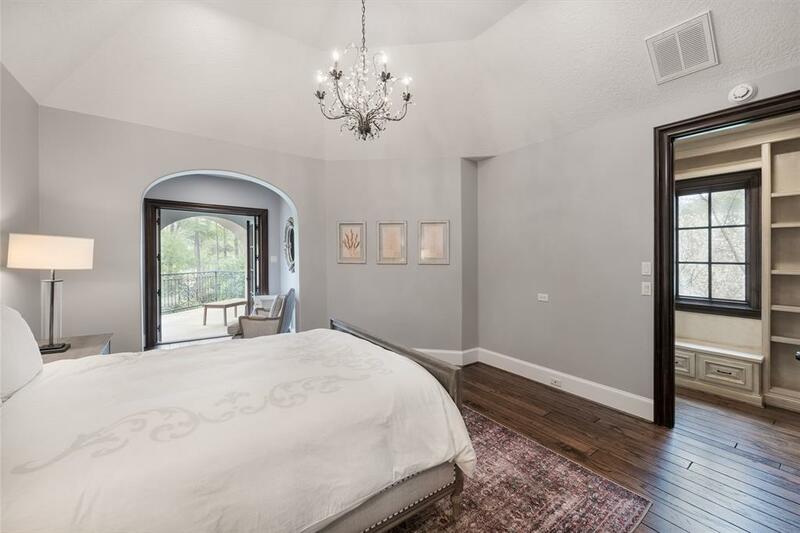 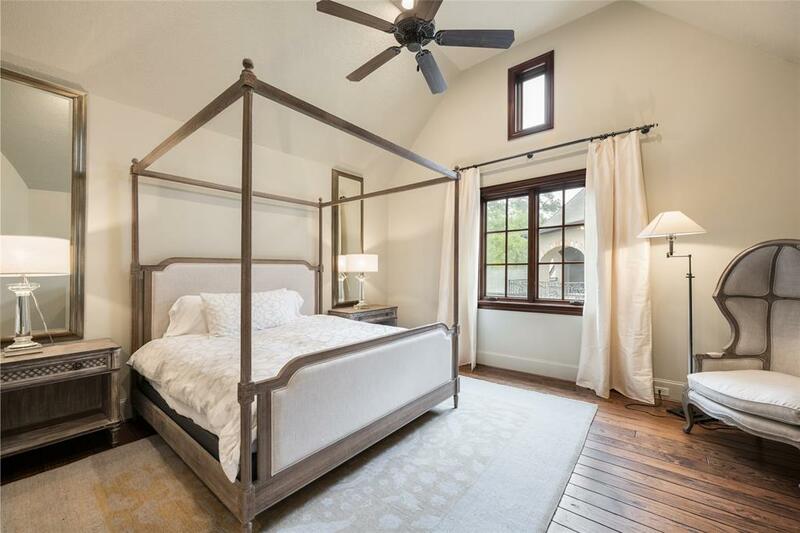 Master retreat features a gym, fireplace and a refreshing Tuscany inspired bathroom with a private veranda. 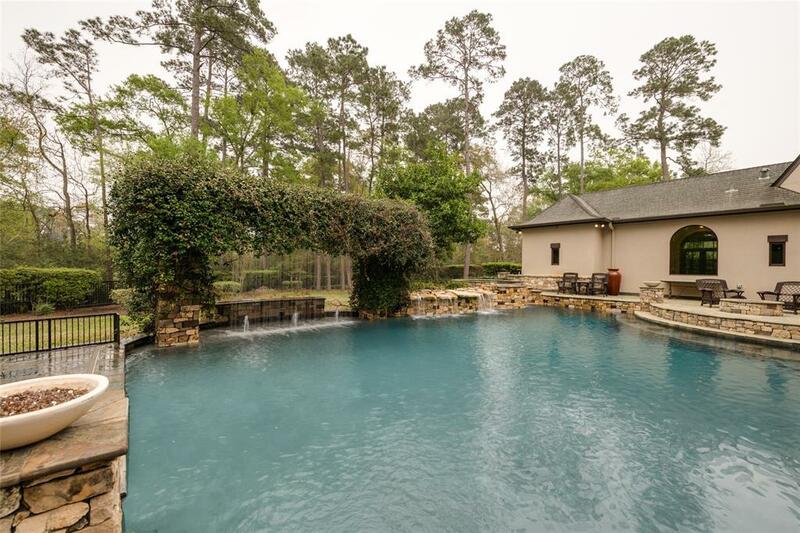 Lastly, an amazing outdoor space complete with 2 entertainment areas and a beautiful waterfall with a dazzling fire display! 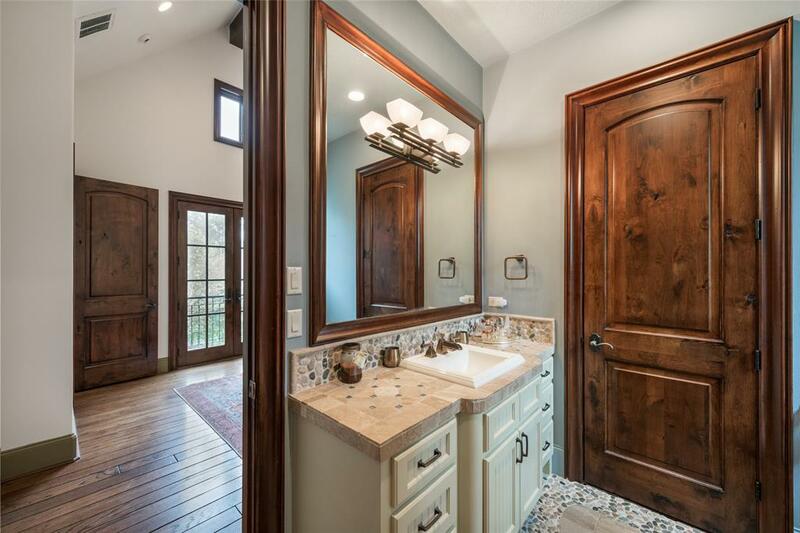 Impress your buyers today!